E is for Explore! : Party Time! Free printable: Students design a party invitation! Hang their party invitations up around the room. Then the students choose 10 parties they would like to attend. They write down the party name or the name of the student who created each invitation. Next to the name they record, they write when each party starts and ends. Then they write how long each party is (elapsed time). Click here for the printable, which includes clocks on the invitation to help students practice telling time. 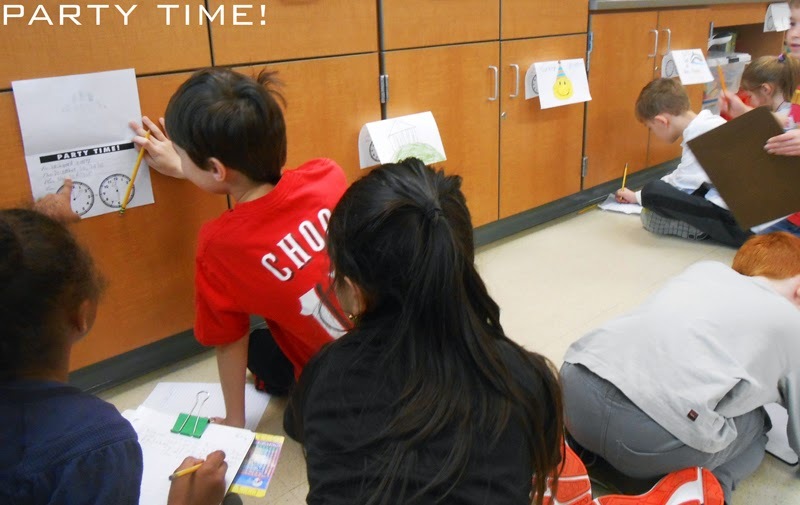 For more hands-on telling time activities click here to see my post at We Are Teachers.